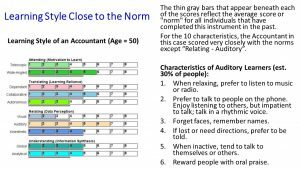 Talent Development Using Learning Styles Profile | LRT Consulting - Learning Resources & Technologies Ltd.
Of course, all learners are not equal. They come in a variety of sizes, shapes, and from many cultural backgrounds. In addition, their past experience and existing methods of learning may be quite different. Apart from differences in general background or culture, some people will like to process information through text, while others will want visual support and images. Some will assimilate information individually, while others will prefer to work in groups. Some will grasp information intuitively and quickly, while others will prefer to see a strong sequential path and time to reflect. In the end, the only thing you can say for sure is that every individual learns in their own particular way. 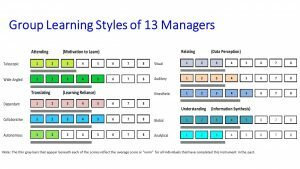 The Learning Styles Questionnaire is intended to help determine where people’s general preferences, or natural learning biases, might lie. Although this is far from an exact science, the simple view is that the more we can understand about how we perceive new information or new learning, the better and more successful our learning transfer will be. That a pre-condition of learning is an ability on the part of the individual to filter out inhibitors and attend to the subject with their full attention. This is predominantly a right-brained activity in which we appraise the broad context within which the information should be evaluated. Attending characteristics focus on how an individual focuses or concentrates on new information or learning. Some individuals have a Telescopic perspective. This means that they can focus on the core message without noticing or being distracted by some of the ambient interference. They may, however, miss some of the relevant wider signals. Wide-angled individuals tend to notice the whole learning environment, and can let side issues and distractions interfere with the core message. That we need to translate the information in a way that matches our existing knowledge or mental models of the way things work. In some cases, we may have to unlearn something before we can encode or encrypt the new learning to be meaningful. This is predominantly a left-brain activity connected with logic and reason. Translating characteristics focus on individuals preferences for managing their own personal method for translating what they see, hear, or sense in a learning environment, and make intelligible in terms of their own existing mental models. Dependent learners expect the learning course leader to help them do this; Collaborative learners like to do this by talking about issues raised in groups; Autonomous learners like to challenge assumptions and reflect upon information given by themselves. That we need to relate the information to existing patterns or “blocks” of knowledge, in either short or long term memory, in order to connect new information with old information in the same place. This is predominantly a right-brained activity connected with associated general ideas and relationships. Relating characteristics focus on how individuals like to relate what is taught to their existing shared knowledge (both in short and long-term memory). The three primary methods are “Visual”, “Kinesthetic”, and “Auditory”. It should be noted that individuals use all three methods, but given a preference will elect to use one more than the other two. That we need to summarize the new information in connection with the old, and to distill it for access and use when we need it. This is predominantly a left-brain activity connected with induction and deduction processes. Understanding characteristics focus on how individuals like to ultimately synthesize the learning that they receive, and the way in which they extrapolate it for their own theoretical or practical use. The two styles by which most people do this synthesizing is either “Globally”, in which case they are likely to take a big picture and conceptual view and broadly absorb information, or “Analytically”, in which case they are likely to make sense of learning by breaking it down logically and in step-by-step fashion. This learning evaluation cycle may be traveled in a few seconds in many cases, or may take much longer if the information is complex or confusing. If we travel the cycle successfully our “self talk”, or internal reflection, is positive and we can add it to our knowledge and action if we so choose. However, if we stall at any of these steps, or travel this cycle with difficulty, our self talk may be negative, or at least confused, and we introspectively travel the cycle again to see if we can work out the problem. The group may benefit from further developing the “Autonomous” style of Translating (Learning Reliance) through a variety of resources such as reading, writing, distance learning, simulations, one to one counseling, models, big picture concepts, etc. There are two ways in which effective learning transfer can be planned. 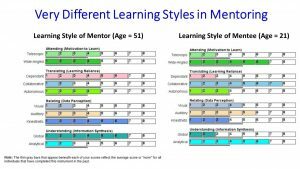 Either the learning facilitator or trainer can take account of individual learning styles and vary their delivery styles and formats to optimize the transfer; alternatively, the individual learner can recognize their own preferred learning styles and make the necessary interventions and adjustments. While both approaches performed together are likely to create the best overall approach, it is the second of these two options that each individual can always control as they seek to learn something new or different. The Learning Styles Questionnaire simply helps individuals understand their relative preferences as they learn, and to better manage their transfer process in the future. 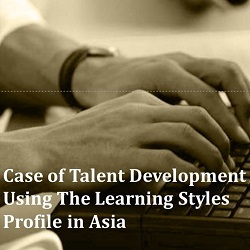 Enquiry about Learning Styles Questionnaire and Other Talent Development Assessments: (852) 2890 9887 or email. 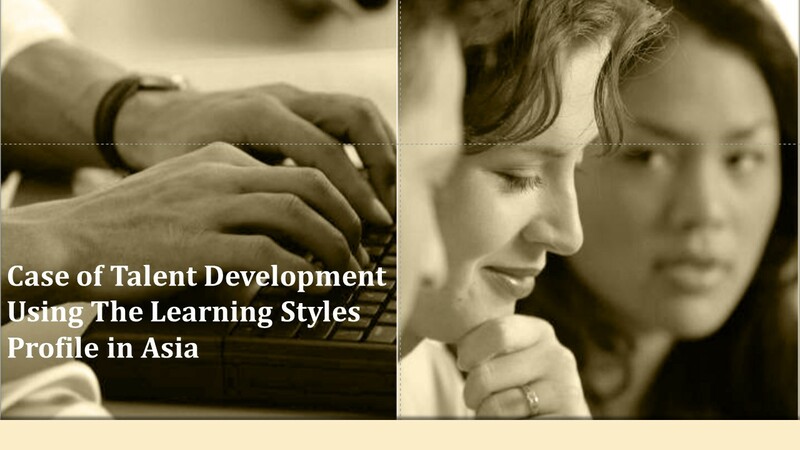 Remarks: LRT Consulting is Licensed Consultant with the right to use the HRD Press Learning Styles Questionnaire. Content of the article is adapted from the Learning Style Report.